The launch is owned by the Forestry Corporation of NSW (FC) and adjoins the Red Hill State Forest. The ACTHPA has a permit issued by the FC granting access to the site. The landing zone is on private property. 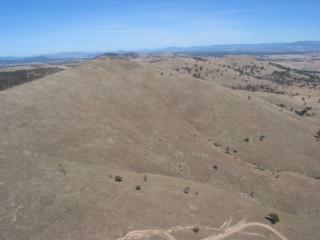 The Honeysuckle site at Tumut provides launches for both paragliders and hang gliders. A dedicated ramp has been built for hang gliders. Use of the site and granting of the permit by the Forestry Commission (FC) is conditional on the development of a Site Safety Plan and adherence to a number of Activity Conditions. These documents are linked to this page and you should familiarise yourself with the requirements of these documents and be prepared to abide by them before flying at Honeysuckle. About 40 minutes north of Canberra on the road to Sydney. 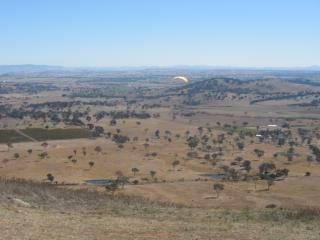 Lake George is an excellent inland soaring site. The collector launch is at the northern end of the ridge. 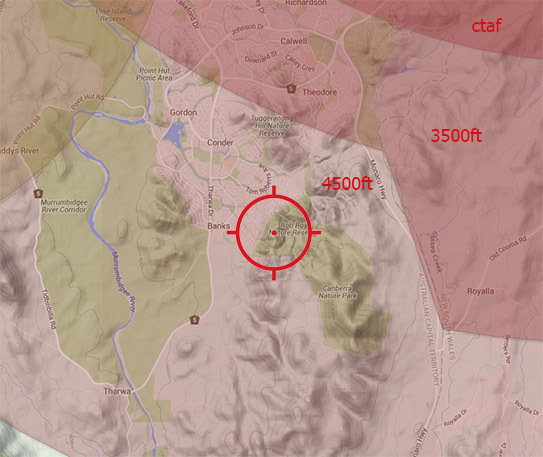 If the conditions are a little more thermic this launch is a bit better than Geary's Gap as you have more height. Launch is accessible by 2WD. Immediatly in front of takeoff or anywhere on the lake. Please click on the Google Maps Link for rough directions to the LZ. 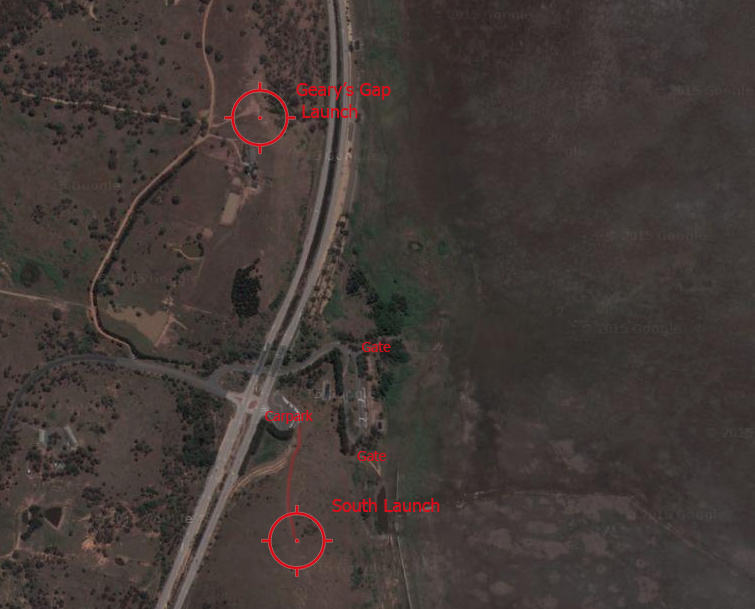 The usual process for pilots to get to the launch is to meet at the LZ, and then car pool to the Launch site which is at this Google Maps Link. The drive is about 25min each way with a mix of bitumen and gravel roads. 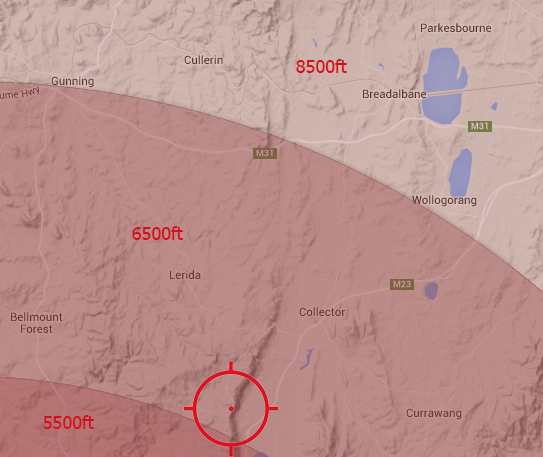 Airspace is low due to the close proximity of Canberra Airport. You can have a look at the different layers on XC Planner or just click on the image below to give you an idea of the airspace restrictions. Also watch out for powerlines. About 20 minutes south of Canberra just past Tuggeranong. It is the hill up behind Condor with the black marker on it. The Lanyon launch is on crown land and the landing on private property. We do not hold formal approval to fly at at this site and as such pilots should exercise a very high degree of care to maintain positive relationships with neighbours and public. Generally takes a west. If the day is too hot then the northerly valley breeze at Lanyon may make it unflyable. 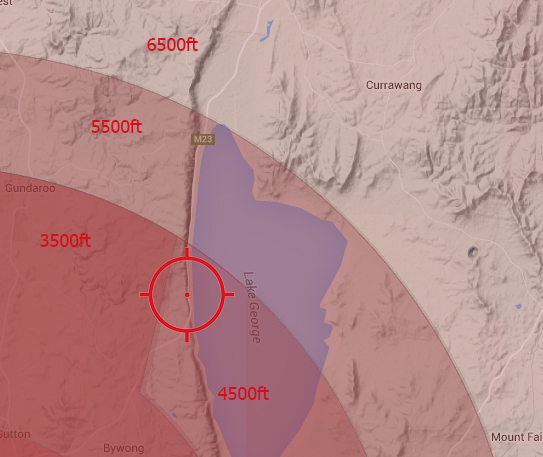 This site in strong winds can give strong wave lift off the Brindabella's and as such can push you through airspace really quickly. 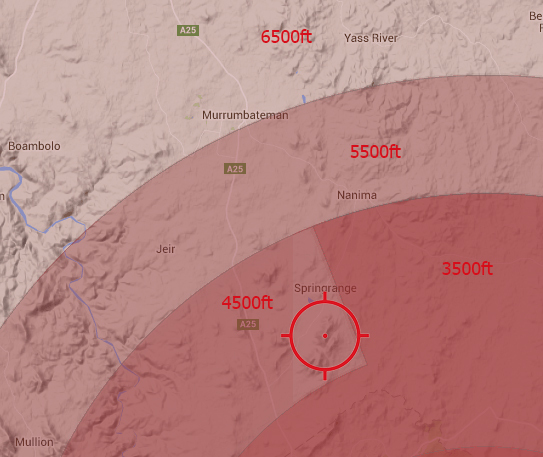 If Spring Hill is blown out please don't go flying Lanyon. Please click on the Google Maps Link for directions to the LZ. Nice and clear near the top of the hill. Landing options are pretty good for a paraglider; for a hang-glider you will need to glide out to some of the flatter, clearer landing areas.